Chinese miner, MCC, and its junior partner, Highlands Pacific have been given a green light by Papua New Guinea’s Supreme court to pollute Madang’s pristine Basamuk Bay with 100 million tons of toxic waste from the Ramu nickel mine. Justice Davani, in dissenting, has suggested that changes be made to the Environment Act to stop Mine Waste being dumped into the sea. Justice Sawong and Harthson say landowners have not proven Public and Private nuisance. The Supreme Court decision on whether the Ramu nickel mine can dump millions of tons of toxic waste into the sea off the coast of Madang is expected to be handed down on Thursday, 22 December. Earlier this year the National court ruled the dumping will breach Papua New Guinea’s constitution and cause both a public and private nuisance but should be allowed to proceed. Both the plaintiffs, indigenous landowners from the Madang area, and the defendants, Chinese State owned mining company MCC appealed parts of the National Court findings to the Supreme Court. Marine dumping of mine waste is illegal in China and MCC has recently been banned from receiving funding from the international development banks because of its involvement in corruption. The Chinese owned Ramu nickel mine in Papua New Guinea is doing pre-commission testing of its processing plant systems under the cover of darkness and without the involvement of any local workers. It seems the controversy over MCC’s waste dumping plans and a series of very public health and safety issues at the mine and processing plant have led the mine owners to be extremely sensitive and secretive. Full commissioning of the processing plant is still prevented by an outstanding Supreme Court decision on the legality of plans to dump hundreds of tons of toxic mine waste directly into the sea via a 150 metre-long pipeline. The Supreme Court case follows an earlier National court ruling that the dumping would breach PNG’s Constitution and cause both a private and a public nuisance. Local workers at the processing plant say that while the processing machines are being tested almost every night it appears the waste pipeline is not yet being included in the tests. They also report that they are not being allowed to work at night when the machines are turned on. The $1.5 billion Ramu nickel mine, China’s single-largest mining investment in Papua New Guinea, should be operating close to maximum capacity by mid- to late-2013, Australian minority partner Highlands Pacific said today. The project, which Highlands claims will yield 31,150 tonnes of nickel and 3,300 tonnes of cobalt a year for at least 20 years, has faced a series of setbacks and environmental protests. Highlands said commissioning activities were underway after review of the project by PNG’s chief inspector of mines and that a beneficiation plant and 136-km pipeline to transport slurry had been tested several times using water. The mine has been plagued by local protests over plans to dump 100 million tonnes of waste 400m offshore, a practice which is illegal in China and would never be permitted in Australia. A court ruling in Papua New Guinea has already approved the dumping (despite finding it would breach the Constitution and cause both a public and a private nuisance), but an appeal against the decision is still pending. Armed police are continuing to harass families living around the Chinese owned Ramu mine site in Madang Province in an attempt to dissuade landholders from taking direct action as the mine nears production. Although construction at the mine site has now been completed, the genuine landholders displaced by the mine have never been correctly identified and are threatening to stop the mine operations. A series of lands tribunal are planned to determine the competing claims – something that should have happened before any mining agreements were concluded and before the mine was constructed. Instead the government and mine company have been dealing with a number of Landowner Associations who do not represent the landholders as a group only selected clans. David Tigavu who heads the primary Landowners Association has spent time in jail for abusing genuine landholders and their lawyers who are questioning the legality of the mine plan to dump toxic waste into the sea. Landholders living around the Chinese owned Ramu mine site in Madang Province have vowed they will not allow the mine to enter production as the genuine landholders displaced by the mine construction have never been correctly identified, consented or compensated. Ben Bobby Yorga of the Siringami Nokomboi clan is one landowner who says issues have to be resolved before mining operations begin. A series of lands tribunal are now planned to determine the competing claims – something that should have happened before any mining agreements were concluded and before the mine was constructed. Yorga says until the correct landholders have been declared by the Land Titles Commission it would be a direct infringement of their human rights if production begins. Instead of correctly identifying the landholders the government and mine company have been dealing with a number of Landowner Associations who do not represent the landholders as a whole only selected clans. David Tigavu who heads the primary Landowners Association has spent time in jail for abusing genuine landholders along the Madang coast and their lawyers who are questioning the legality of the mine plan to dump toxic waste into the sea. Yorga says he will take David Tigavu to court as the Associations do not have the right to represent the people. The Chinese Metallurgical Construction Company (MCC) Ltd, majority owner of the controversial Ramu nickel mine in PNG, has been barred from doing any projects or works involving the World Bank, Asian Development Bank, European Bank for Reconstruction and Development, and the Inter-American Development Bank. This is because its sister companies, China First Metallurgical Construction Company and China First Metallurgical Group, have been found guilty of fraud and corruption in a World Bank investigation into the construction of a bridge in Bangladesh as part of the Dhaka Urban Transport Project. The investigation found the bridge was so poorly constructed it was condemned before it was opened for fear it would have collapsed when people started using it – potentially killing hundreds of people. 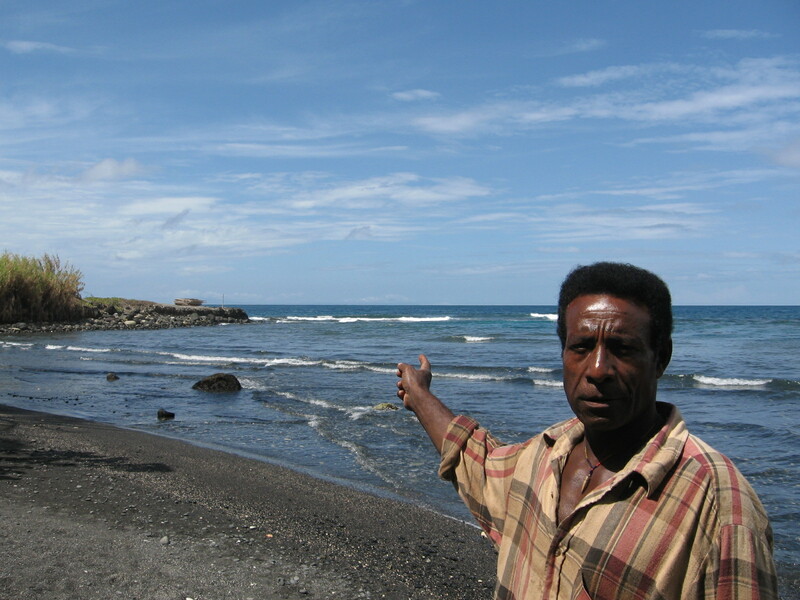 The Ramu nickel mine has been heavily criticized for stealing land from indigenous people, poor construction, use of imported convict labour, appalling health and safety standards, the planned dumping of toxic mine waste into the sea and the highly favorable tax holidays that it secured from the heavily pro-Chinese government of Michael Somare. The Chinese owned Ramu nickel mine will test its slurry pipeline and refinery plant on Tuesday this week. The mine is still unable to fully commission its mining operation due to an outstanding Supreme Court decision on the legality of plans to dump the toxic mine waste directly into the sea. Earlier this year the National court ruled the dumping would breach Papua New Guinea’s Constitution and cause both a public and a private nuisance. MCC and their junior partner, Australian based Highlands Pacific have appealed that decision – although marine dumping of mine waste into the sea is expressly forbidden in China and would never be authorised in Australia. This will be the second test of the pipeline and refinery, in a previous test, MCC sent 3 tonnes of ore to the coast. Say NO to the Metallurgical Corp of China! Say No to MICHAEL’s Chinese Comrades! I took this photo of the Ramu Nickel, Basamuk Deep Sea Tailings Placement (DSTP) site as viewed from Mindere village. The refinery site can be seen in the background. The irony of the situation is that DSTPs are illegal in China (Home of Chinese miner MCC) and would not be allowed in Australia (Home of Australian Miner Highlands Pacific) yet somehow its ok to destroy Paradise in PNG. After what BHP Billiton has done to the Fly River and Rio Tinto did to Bougainville one would think PNG deserves better. Conceived as controversy over the Ramu nickel mine reached new heights at the beginning of 2010 and launched on 21 January 2010 when landowners shut-down construction, an outbreak of cholera was suspected and a Chinese doctor refused to treat an injured worker, the Papua New Guinea Mine Watch blog has reached another important milestone. Yesterday we published our 1,000th blog post. Those posts have generated over 175,000 visits to this blog and you the viewers have posted almost 3,000 comments while 415 of you are registered subscribers. Unfortunately the mining industry in Papua New Guinea shows no signs of improving it appalling environmental and human rights performance – even as a record number of new mines come on stream, but at least far more people are now witnessing and discussing the destruction – both on this blog and the many websites around the globe that republish what is written here. The stakeholders – including the landowner associations – must immediately stop the Ramu Nickel MOA Review. They should not review the MOA when court proceedings involving the Ramu Nickel Project is still going on. The Land Title Commission has not heard the land disputes yet and declared that the genuine landowners. Who do they think they are to rush things when they are very well aware that the court proceedings and genuine landowners have not yet been identified and declared by the courts? The MOA must be reviewed when the genuine landowners are declared. The associations and the stakeholders should not ignore this and bulldoze the MOA review. The so-called landowner associations do not own the land in dispute. They should be patient and fast track the Land Title Commission hearing to identify the genuine landowners before the MOA review. The blame must be put solely on the stakeholders for these delays in the project and LLG court proceedings. If they have listened to our concerns and dealt with them in the first place, then there should have no court proceedings and delay in the project by now. On behalf of myself and all other concerned landowners call on the Government to immediately appoint the Land Title Commissioners and release funds for them to hear the Land disputes and settle these prolong issues involving Ramu Nickel Mine. Prime Minister, Peter O’Neill said on Monday that his government will find ways to release funding as per the commitment made by the previous government to the Ramu nickel project landowners in Madang province, reports The National. While in Madang this week to visit the site of the Airlines PNG Dash 8 crash last Thursday, and attend the memorial service for the crash victims, the PM accepted an invitation by the deputy governor of Madang, Bob Wati, to address [a hand picked minority of the] stakeholders of the Ramu nickel project who were sitting for a two-week scheduled memorandum of agreement (MoA) review meeting. The PM said he was happy to see the [hand picked minority of] landowners’ representatives sit down and talk to the developers and the government representatives at the MoA review. “It’s good to see you sit down to sort out the differences and talk about benefits sharing and how it can be done in a fair way,” he said. Madang Governor James Gau [a noted puppet for the Chinese owners of the mine along with his predeccesor Arnold Amet] thanked the prime minister for making time available to address the [minority group of] stakeholders of the Ramu nickel project. Gau said the Ramu nickel project was a big [big = good and don't dare question that] project in Madang which would bring money to the purse of the government [will it? what about the generous tax holidays and other exemptions Mr Gau?] and the people [he said it so it must be true? ], therefore, all issues concerning the progress of work and when it would commence operation must be done properly [he means as quickly as possible]. O’Neill said he did not want to make any commitment. But he would be sitting with Gau to discuss various options in which government would assist. The four umbrella landowner associations (LOA) group in the affected Ramu NiCo mine will receive K10 million from Madang Governor James Gau today, reports The National. According to Gau, Prime Minister Peter O’Neill had last Friday given the K10 million to honour the previous government’s commitment of K20 million. Speaking at a dinner, Gau said numerous negotiations had failed. He said several paperwork had been duplicated by individuals to be included in the LOA’s submission. He said the commitment had come with the assistance of Bogia MP John Hickey. O’Neill fulfilled his promise on his second visit to Madang last Friday. The four landowner associations including Kurumbukari, Inland and Coastal pipelines, and Basamuk leaders had stalled the commissioning of the Ramu NiCo from continuing into its eleventh year of operations because their grievances had not been met. According to Kurumbukari’s David Tigavu the much needed seed capital of K10 million will assist local landowners to commence businesses in respective mining areas. “We will decide the break-up of the K10 million among the four landowner groups,” he said. Meanwhile, former coastal pipeline chairman Steven Saud expressed relief at the payment. “There have not been any tangible developments since our request and now LOAs can benefit from this outcome.” Saud said the push by governor Gau to ensure the LOAs’ demands were met was something new. Over the past 18 months MCC and Highlands Pacific, owners if the Ramu nickel mine in Papua New Guinea, have consistently claimed that a legal dispute over the mine’s marine waste dumping plans has caused them huge losses amounting to millions of dollars a day. The two companies have presented sworn affidavits and reams of financial records in court to try and substantiate their claims and justify the removal of a temporary injunction. But the truth is that the various interim injunctions granted since April 2010 preventing first the construction and then the use of the marine waste dumping system have not caused the claimed delays or financial loss. This is because the waste dumping had not yet received final approval from the PNG Department of Environment and could not have gone ahead even without the injunctions in place. DEC did not grant final approval for the waste dumping until last month, September 2011, when it approved the mine’s Operational Environmental Monitoring Plan. This was only revealed last week in the Supreme Court when MCC and Highlands Pacific presented the Monitoring Plan Approval as new evidence in their appeal against findings from the National Court that the waste dumping will cause inevitable harm and is unconstitutional. Thus it seems when MCC and Highlands Pacific went repeatedly to court last year trying to vary or overturn the terms of the injunction and claimed they were suffering huge financial losses as a consequence they were misleading the court as they did not reveal the waste dumping had not yet received final approval. In the end the litigation over the Ramu nickel mine marine waste dumping plans comes down to who convinces the three judge bench Supreme Court headed by Her Honour Justice Catherine Davani. Should the judge had imposed a Quia Timet injunction having found that the plaintiffs now appellants had proven both Public Nuisance and Private Nuisance as well as the derogation of the Fourth National Goal as defined by the Constitution? Both parties presented strong arguments however the Appellants, who are landowners from Rai Coast, presented more compelling arguments. The defendants on the other hand were bowled over by the judges. Where any law, or any power conferred by any law (whether the power be of a legislative, judicial, executive, administrative or other kind), can reasonably be understood, applied, exercised or enforced, without failing to give effect to the intention of the Parliament or to this Constitution, in such a way as to give effect to the National Goals and Directive Principles, or at least not to derogate them, it is to be understood, applied or exercised, and shall be enforced, in that way. Being unprepared, Mr. Molloy referred His Honour back to section 25(1) of the Constitution which states that the National Goals and Directive Principles are non-justiceable. However His Honour noted that section 1 provides for exceptions which it referred to in subsections (3) and (4). His Honour wasn’t interested in subsection (4) because it dealt with the Ombudsman commission but His Honour wanted Mr. Molloy to discuss subsection (3) which was relevant to the appeal. Mr. Scheri for MCC (whom His Honour Justice Sawong had mispronounced as Scary), had to come to the aid of Mr. Molloy. Miss Twivvey, on behalf of the appellants argued that subsection (3) made it mandatory for any law or power conferred by law to give effect to the National Goals and directive Principles. My understanding from what was being argued in Court by Miss Twivvey is that the DSTP as approved under the Environment Act. The Act however approves an activity that according to His Honour Justice David Cannings, ‘derogates’ the Fourth National Goal and Directive Principle. Since the word “shall” is used in section 25(3), it is mandatory that any “law or power conferred by any law” shall be enforced in such a way as to give effect to the National Goals and Directive Principles. So if any law or in the case of DSTP’s the power conferred by law i.e. the Environment Act, derogate the National Goal and Directive Principle, the Judge is duty bound to provide a remedy under section 22 of the Constitution. 22. ENFORCEMENT OF THE CONSTITUTION. She then argued that His Honour Justice Cannings should have given the injunction as the National Court had a Constitutional Duty to do so under section 22 of the Constitution. This he had failed to do so having declared that the DSTP was contrary to the 4th National Goal plus the declaration of Private and Public Nuisance. Notice how this provision also highlights the National Goals and Directive Principles. The Court also heard submissions from the State’s counsel, Mr. Tanovasa. Again it was His Honour Justice Don Sawong, who bowled Mr. Tanovasa. His Honour asked Mr. Tanovasa whether the matters of maritime law the counsel was presenting had been submitted before Justice Cannings. Mr. Tanovasa replied, “No Your Honour,” and he was toast. His Honour reminded Mr. Tanovasa that this was an appeal and Mr. Tanovasa’s submission collapsed as he mumbled his way to the end. Ms Twivvey in her response, sliced, diced, grilled and roasted the State’s submission adding salt to injury. She then proceeded to clarify to the Judges that there was no conflict with Statute Law (i.e. the Environment Act) and underlying Law (i.e. Torts Law regarding the National Courts Declaration of Private and Public Nuisance). She said that although the Tailings disposal was legal as per the Environment Act, it only covered the area agreed in the Environment Permit. Thus any damage caused by the Tailings disposal outside of the Permitted Area was liable to claims for damages under Torts Law. She said the Appellants had proven both Public and Private Nuisance under Torts Law and were therefore asking the Court to restrain the miner from dumping in order to prevent damage to areas outside of the permitted area (a Quia Timet injunction). Judges will notify counsels when the decision is to be handed down. MCC, the Chinese State owned mining company behind the troubled Ramu nickel mine in Papua New Guinea, has recruited Alan Oxley and his consultancy company ITS Global to try and improve its public image. Oxley and ITS are already well known in Papua New Guinea for their work for the notorious Malaysian logging company Rimbunan Hijau for whom they regularly produce supposedly independent reports and opinion pieces defending RH’s illegal and unsustainable logging operations and human rights abuses. Oxley and ITS also operate under the guise of the World Growth Institute. A group of eminent scientists recently published an open letter accusing Oxley of “significant distortions and misrepresentations or misinterpretation of facts” on the impacts of logging in PNG. The Ramu nickel mine, in which Australian based Highlands Pacific is a junior partner, is facing an ever growing mountain of problems, hence MCC are desperately hoping Oxley can raise their flagging fortunes and improve their terrible public image. The National Court recently declared that the Ramu mine’s plans to dump its toxic waste into the sea 150m offshore breached PNG’s Constitution and will cause both a private and public nuisance. Local landholders are now appealing the court’s refusal to grant a permanent injunction stopping the dumping to the Supreme Court. There is also another court case from inland landholders who live around the mine site but claim they have never been consulted or compensated for the use of their land. Some of this group have regularly been attacked and had their homes burnt down by police operating at the behest of MCC. On top of this the mine is also facing a revolt from a previously loyal small sect of landowners who have been favoured with compensation and rehousing who have now declared they will stop the mine proceeding if their benefits are not increased. The leader of this group, David Tiagavu recently spent six months in jail for threatening other landowners and their lawyers in the waste dumping case. It is not only landholders who are causing problems for the Chinese. In May, PNGs Inspector of Mines shut down all work at the Basamuk refinery site for six weeks because of health and safety fears. Although commissioning work has now recommenced their are fears about the safety of the 135 km slurry pipeline which although it is yet to be used is already collapsing. MORE trouble in Kurumbukare, MCC's Ramu Nikel ore production site as police continue to pull down villagers' houses and food gardens. On September 2, nine police officers from Wallium in Madang helped to pull down houses, burning four of them and cutting down food crops in gardens as they sent 28 families running without shelter and food. These villagers had been sent running for the last two years and the company has continued to shy away from these important issues. These 28 families are from the Tsiringami Nokomboi clan. Similar incidents have been witnessed by the Maure and Pagasi clans. While MCC insists that it has done everything right, it continues to miss that by its operations it has ripped these people of their livelihoods and has promised to replace that with monetary benefits. Since these benefits are not coming to these people they must return to their land. Allocating houses to a few families is not "doing things right." It is creating more problems for these people as they feel left out. The use of the police to make this a "good" project is not at all the way to do business here in Papua New Guinea. These families and other other clans have reported these happenings to Madang Provincial police boss Anthony Wagambie Jr, the mine's liaison officer Mr John Bivi and Walium District deputy manager. These Kurumbukare landowners said each time they report this they get sent to the next government office or to MCC. These 28 families and other clans in the Kurumbukare are threatening to cause further disruptions at the mine unless the company and government listen to them. The Supreme Court today granted an application by landholders for an expedited hearing of their appeal against the decision of the National Court not to grant a permanent injunction stopping the marine dumping of toxic waste from the Ramu nickel mine in Papua New Guinea. The appeal will be heard on the 3rd and 4th of October. The Supreme Court has also asked the lawyers representing the mine owners, Chinese State owned MCC and Australian based Highlands Pacifiic, to seek an undertaking from their clients that no waste will be dumped into the sea until the Supreme Court has made a decision on the appeal. The matter will be listed before the Chief Justice again tomorrow, Friday, for the lawyers to report back on whether their clients will give the undertaking or whether a temporary injunction application needs to be argued. Madang Governor James Gau has assured the Chinese government that the people of Madang support the US$1.4 billion (K3.2 billion) Ramu NiCo project in Madang, reports The National. project and hoped to see it in full production soon. He welcomed Qiu to Madang, saying the people, especially in his Raicoast electorate where the Ramu NiCo refinery was built, needed the project because of its positive economic benefits and spin-offs. “I give you my full support. Ramu NiCo was constant, persistent even when there was unnecessary opposition and we have gone through,” Gau said. He gave an undertaking that his government would work together with the national government to ensure outstanding commitments by the state were honoured to avoid further unnecessary frustrations and delays. Chinese investment in PNG and the South Pacific region. He urged the Madang provincial government to nurture the project like a “baby” that is still growing to maturity because it would bring a better future for the province and the government and stands as a bilateral win-win cooperation between PNG and China. “PNG is the largest trading partner with China in the region and PNG has the largest investment from China and Madang as a host to Ramu NiCo is very important to China,” Qiu said. Terry Kunning is from the Sibiag clan at Mindre village on the Rai coast. His community and the people who depend on the Bismarck Sea for their livelihood, will be affected by the Chinese dumping their mine wastes into the sea. Mama Dupain and the women of Mindre are some of the strongest opponents of the Basamuk deep sea tailings dump. They now have to travel longer distances to fetch drinking water and do laundry. The nearby creek that once used to be their water source is dying due to the destruction of its catchment area to make way for a Chinese township. Their gardening area has now been taken up by mine related activities. They do not want to see the sea destroyed as well. Perhaps Terry’s warnings should not be taken lightly. He is an ex public servant who was in Bougainville before and during the crisis. There are indeed striking similarities between Bougainville and Basamuk. In March 2000, The National newspaper reported that Cabinet documents released by the Australian Archives revealed that in 1969 the Australian External Affairs minister Charles Barnes warned that Panguna would produce problems for PNG. About two decades later, in 1988, landowners would demand compensation for damages to the environment caused by Panguna. Then in 1989, Francis Ona would declare war against CRA. Dr Kristian Lasslett of the University of Ulster and a Fellow of the International State Crime Initiative has been researching State Crime in Papua New Guinea. Dr Lasslett said that Francis Ona never wanted war against Papua New Guinea nor did he wish to fight Papua New Guineans. “We are the ‘sacrificial lamb’ for the few capitalists whose hunger for wealth is quenchless and unceasing.”… “We are not going to sit by and watch capitalists and their Papua New Guinean political allies exploiting us”… “We have planted the seeds which germinate soon not only in Bougainville but throughout Papua New Guinea.”. Ona referred to Papua New Guinean politicians as compradors. The word means a native of a colonized country who acts as the agent of the colonizer. It originally used to refer to a Chinese agent engaged by a foreign establishment in China to have charge of its Chinese employees and act on their behalf in business affairs. Interestingly, Francis may not have been far from the truth. Brian Thomson recently reported for The Age and SBS Dateline that an affidavit written in 2001 by PNG’s former Prime Minister, Sir Michael Somare, alleges that Rio Tinto played an active role in the military operations on Bougainville. Papua New Guinea’s politicians clearly do not seem to care about the people and the environment. None of them seem to have learnt any lessons or they own overseas property and bank accounts which they can retreat to once the chaos they’re creating comes to fruition. The legal battle over plans by the Ramu nickel mine to dump millions of tons of toxic waste into the sea is back in Court today in Port Moresby. The plaintiff’s, led by landholder Louis Medaing, are asking the Supreme Court to set aside orders made two-weeks ago dismissing their application for an interim injunction. The injunction would stop any waste dumping taking place until the Court hears a full appeal against the decision of the National court allowing the waste dumping. Leading international legal firm, Allens Arthur Robinson, is warning mining companies of the dangers inherent in trying to use marine waste dumping in the future in Papua New Guinea as a result of the National Court decision in the Ramu nickel mine case. This decision has potentially significant ramifications for other projects in PNG that propose to use, or are using, similar DSTP processes to those in the Ramu project. The borderline nature of the injunction decision indicates that projects that are not able to demonstrate plaintiff delay, and/or significant economic consequences from their prohibition, risk being enjoined from using the DSTP processes. commissioning comprehensive studies to ensure that the DSTP’s effects are fully understood, and implementing effective monitoring to demonstrate that any unexpected environmental consequences will be noted and minimised. This warning is contained in an analysis of the Ramu mine decision (see below) by Partner Allan Mana and Senior Associate Rachel Nicolson. In brief: The National Court in Papua New Guinea has cleared the way for the Ramu Nickel mine to dispose of its tailings using a deep sea placement off the coast of Madang Province. This has potentially important implications for other projects in PNG using similar deep sea placement processes to the Ramu project’s. • Projects with current or future deep sea tailings placement (DSTP) processes in PNG should consider whether their operations would withstand judicial scrutiny, in light of the forthright findings in this case regarding likely environmental harm. • Comprehensive and robust environmental studies into DSTP are essential in demonstrating that these processes will not cause significant environmental harm. • Extensive and ongoing community consultation regarding proposed DSTP and its likely impact upon the local community may prove relevant if a court considers equitable relief, such as an injunction to stop the proposed tailings disposal. • This decision has been appealed to the Supreme Court of PNG, which has imposed a temporary injunction restraining the use of DSTP. Ramu Nickel Management (MCC) Limited (Ramu) operates the Ramu Nickel mine in Madang Province on the north coast of PNG. The environment permits for the mine provide for the disposal of tailings through a process known as DSTP. DSTP involves the discharge of tailings from a pipeline into the sea, so that the tailings flow out of the pipeline and progressively dilute with sea water as it moves towards the deep ocean floor. breach National Goal and Directive Principle (NGDP) No. 4 (natural resources and environment) of the PNG Constitution. The plaintiffs sought a number of injunctions that would prohibit Ramu from using DSTP, and a declaration that Ramu and the other defendants undertake ongoing consultation with the plaintiffs about the project’s tailings and waste disposal operations.  it was likely that the tailings would smother benthic organisms over a wide area of the ocean floor (at least 150 km2 ), which would inevitably alter the ecology of that part of the ocean; it was very likely that the tailings would be toxic to marine organisms; and there was a real danger that the tailings would not settle on the ocean floor but be subject to significant upwelling, which meant that substantial quantities of tailings would be transported towards the PNG mainland. First, private nuisance is traditionally only available to persons with a proprietary interest that is affected by the relevant activity. In this case, the court awarded nuisance based on proprietary rights (customary land ownership) and non-proprietary rights (a genuine interest in the subject matter of the proceedings based on the effect the potential environmental harm might have on the plaintiffs’ lives). Second, the court indicated that an environment permit issued under the Environment Act to conduct an activity is only a defence to a claim in nuisance if the nuisance is ‘the inevitable consequence of conducting that activity’. The proposed DSTP would cause unlawful environmental harm and so was contrary to section 10(1) of the Environment Act. This argument was rejected because the DSTP is permitted under the mine’s environment permits and so is not unlawful. The environment permit authorising the DSTP was invalid under the Environment Act because it was issued under previous, repealed, legislation, and had not commenced by the time the Environment Act came into force. This argument was rejected because the environment permit was, for all intents and purposes, granted under the Environment Act, because it was valid and in force before the commencement of the Environment Act, and had been amended twice after the Act came into force. The court stated that it was obliged to express a judicial opinion whether the DSTP was likely to be contrary to NGDP No. 4, even though s25 of the Constitution provides that the NGDPs are non-justiciable. It also stated that the DSTP would be contrary to NGDP No. 4 because it amounts to ‘an abuse and depletion of Papua New Guinea’s natural resources and environment’. There was an unreasonable delay on the part of the plaintiffs seeking the injunction. Delay suggests acquiescence in the defendant’s conduct and, in this case, there was substantial delay, in light of community consultation having commenced in 1999. The economic consequences of granting the injunction would be disastrous, given the implications for Ramu, the provincial and national economy, and for investor confidence in PNG. With respect to the plaintiffs’ request for consultation, the court ordered that they must be consulted at least every three months on tailings and waste disposal issues for the life of the mine. The plaintiffs have appealed the decision to the Supreme Court of PNG and, with Ramu’s consent, have successfully sought a temporary injunction to restrain the use of DSTP until the Supreme Court considers the appeal. Papua New Guinea’s Supreme Court has cleared the way for initial operations to begin next month at the $1.5 billion Ramu Nickel project, a shareholder said in a statement, reports Reuters. The Chinese majority-owned nickel and cobalt project, located about 75 km (47 miles) west of the northern city of Madang, has faced 18 months of delays on environmental concerns. Australia-based minority shareholder Highlands Pacific said the Supreme Court on Friday rejected an application for an injunction that would have stopped the project using a system of deep sea placement of tailings from the mine with a pipeline. It followed a similar ruling by the National Court of Madang on July 26. Highlands holds 8.56 percent of the project. Metallurgical Corp of China leads a Chinese syndicate which holds 85 percent. The rest of the project is held by the Papua New Guinea government. Ramu “will commence ore commissioning activities at the Basamuk treatment plant in September,” said John Gooding, managing director of Highlands Pacific, said, adding that the ruling meant operations could now proceed. Ramu is expected to yield 31,150 tonnes a year of nickel and 3,300 a year of cobalt for at least 20 years following a roughly six-month commissioning period. A separate appeal to the Supreme Court against the July 26 ruling is still to be heard, but Highlands Pacific said no date had been set for that hearing and it would not affect current commissioning plans. A controversial mine company that plans to dump millions of tonnes of waste into the sea in Papua New Guinea says it will begin operations next month. The PNG supreme court has dismissed an application by a group of landowners for a temporary injunction preventing the Ramu nickel mine from dumping tailings into the sea off Madang. The landowners were hoping to halt the mine’s plan while they appealed a decision by the national court last month not to permanently stop the dumping. Australian mining company Highlands Pacific has a 9 per cent stake in the majority Chinese-owned mine. The company says the $1.4 billion mine will begin ore commissioning activities at its treatment plant next month. In a statement the managing director John Gooding says the mine should produce its first nickel and cobalt in the coming months. Below is the media release circulated by MCC, the Chinese state owned company that is the majority owner of the Ramu nickel mine, following the Supreme Court decision on Friday. Strangely MCC makes no comment on the decision itself, but relies on junior partner Highlands Pacific to be the spokesperson for the mine…. The Managing Director for Highlands Pacific, John Gooding, said on Friday August 19 that the commissioning at the Basamuk Treatment Plant of the Ramu Nickel project will commence next month following the dismissal by the Supreme Court, with costs, of an application by a group of Ramu Nickel landowners led by Louis Medaing for an interim injunction on the operations of the company’s deep sea tailings placement system (DSTP). The Supreme Court, consisting of three judges’ – Justice Davani, Justice Hartshorn and Justice Kariko – dismissed the application. It is likely that the appellants will now proceed with a hearing on the appeal on a date to be decided. The application was dismissed after the legal representative for the appellants, Ms Tiffany Twivey, failed to show up at the scheduled hearing time. Justice Davani noted that the directions previous made by the Chief Justice Inja on Aug 1 had clearly stated that the hearing by a full bench had been fixed for 9.30am on Friday. Present in court were Mr Ian Molloy, representing the First Respondent Ramu NiCo MCC, and Mr Tauvasa Tanuvasa from the Solicitor General’s office representing the State and Dr Warri Iamo, Director of the Department of Environmental & Conservation. Ms Twivey is understood to have arrived after the Court had adjourned and was informed about the Courts decision. The application to the Supreme Court by Louis Mediang and others for an urgent interim injunction pending an appeal to restrain the operation of the DSTP followed the earlier rejection by the Madang National Court. The now fully constructed Ramu Nickel Project, built at a cost of US$1.4 billion (K3.2 billion), was moving towards commencing trial operations about 18 months ago when court proceedings commenced in the Madang National Court. Mr. Gooding said there was strong community and government support for the project “and now the operator can focus on the task of commissioning and ramp-up for the benefit of many. “The project should commission its first autoclave in the coming months and produce its first nickel and cobalt in the weeks after as part of a conservative ramp up over the next 12 to 18 months,” he said. Prior to the start of construction of the PNG LNG Project, the Ramu NiCo MCC investment in the Ramu project had been PNG’s biggest single investment since the early 1990s. Justice David Canning ruled in the Madang National Court on July 26 that the DSTP was a lawful activity under the Environment Act 2000. He said restraining of the DSTP operation would cause significant prejudice to the project and to the Provincial and National economy and impair investor confidence. Justice Canning refused the application by Mediang and others for a permanent injunction on Ramu’s DSTP system and dissolved the interim injunction that had been granted on October 22 this year. “The Ramu project is expected to produce 31,150 tonnes a year of nickel and 3,300 tonnes a year of cobalt over a 20-year period. This will be contained in a high grade concentrate that will be exported to customers in China and generate around US$600 million (K1.4 billion) annually in export revenue”, Mr Gooding said. Highlands Pacific, which has hundreds of PNG shareholders, has an 8.56% stake in the project which will increase to 11.3% once project debt has been repaid and it has an option to acquire a further 9.25% equity at fair market value. I was in Madang and had a chance to visit the construction currently underway at the Ramu Nickle Mine’s Kumbakari Site. At first sight, you don’t need an expert to tell you how unsafe and risky the whole project is. The pipeline itself is being poorly designed and built. It will burst anytime and cause great environmental damage if there is a landslide while the road condition is in a terrible state. It only shows you what MCC is exactly after, money, with no regard for long term benefits like roads, wharfs, etc. The road condition remained the same or even worse than the last few years. It was even an eyesore driving from Usino – Bundi junction to the mine site. You ask yourself whether you are traveling to a mine that is worth more than US$1.4 Billion or Usino station. What will there be left to show the world for the huge mine when all the ores are taken out? It’s sad to see our so-called Government or politicians allowing this to happen before their very eyes when on the other side, hitting the media headlines with their so-called 2050 visions and goals, let alone the court injunction to stop the mine waste dumping into the sea by the landowners. Will the anticipated benefits to be accrued from the Ramu Nickel Mine both by Madang and PNG factored in the 2050 Plan? If so, the construction phase alone is painting a totally different picture. Madang Governor, James Gau, has told the people of the Rai Coast who are contesting the marine waste dumping plans of the Ramu nickel mine to shut up and return to their villages. The Governor is upset the people have decided to appeal the decision of the National Court that found that although the dumping is unconstitutional and is likely to cause catastrophic environmental consequences and seriously harm the lives of thousands of people, it should be allowed to proceed because of the economic cost of building an alternative land-based tailings disposal system. The landowners should “return home” and “do something useful” says Mr Gau who claims out that no-one has died yet and when they do then the landowners can then stop the mine. Mr Gau cites the often-used but fallacious argument the mine must be allowed to go ahead because the Rai Coast is a ‘least developed area’ and people ‘need services’. The reason the Rai Coast people suffer from poor services is that politician’s in PNG, like Mr Gau, are not doing their jobs and it is not the role of foreign mining companies to provide health and education services. Billions of dollars are stolen every year from the government purse and there is gross mismanagement in the public service and that is the reason public services are so poor. There is NO evidence from other parts of PNG that major new resource projects do anything other than fill up the pockets of politicians and bureaucrats who steal the revenues. Mr Gau should realise that the only way local people can improve their standard of living is through local enterprises like fishing and agriculture on which over 80% of the population already rely for their subsistence and cash incomes. It is these enterprises that the environmental destruction from the Ramu nickel mine’s waste dumping will destroy, creating more poverty and hunger for local people. I call on the Governor and other politicians in resource areas to put the people’s interest first and not those of foreign companies with only one aim and that is to exploit our resources and leave as soon as possible. The Government should learn its lessons from Misima, Bougainville, Porgera, Ok Tedi, etc. I would like to call on fellow Papua New Guineans to really know the true value of the nickel resource estimate based on current prices as it seems there is collusion with the miner and the government to intentionally under value the indicated resource estimate. I don’t need to be a metallurgist or geologist to know this. I have and will always maintain the paradigm that if only we have very honest and transparent leaders who manage our resources and finances in a prudent and accountable manner, PNG would be the very first fully developed Black Country on earth. The people had good reason to believe that they would enjoy the above benefits as they were promised by the government and miners. Unfortunately, there has been very little progress. The township that houses Chinese workers has been built in the catchment area of a nearby creek that provided drinking water for Mindre villagers. Sewerage from the township is drained into the creek. The creek has lost its flow and is slowly dying. Fish and eels that once inhabited the creek are gone. Today the villagers of Mindre have to walk about 3 Km to the Yaganon River, to bathe, do their laundry and fetch drinking water. They have however noted a decrease in the water table around the Yaganon which they say is due to water extraction by Ramu Nico. The miner has six pumping stations located along the Yaganon River. Local leaders at Mindre village say that the Chinese and their Australian partner Highlands Pacific Ltd aren’t paying for the water they pump out of the Yaganon River. The miners have set up one tank per village, which they connected to their water mains. However, a dispute with the company over monthly fees has meant that nothing flows into the tanks. The people do not want to pay the company for water which they say is being extracted free by the company. The people have watched on the sidelines as their land was possessed and the processing facilities and associated structures erected. Power lines and water pipes run past their village to modern accommodation units while they live in bush material homes without electricity or water supply. The sea is their last untouched resource. The coconut and cocoa plantations at Basamuk that once provided their income have been destroyed to clear the land for the Nickel/cobalt processing plant. On Sunday 31st of July, they gathered under a mango tree at Mindre village to discuss the National Court Decision regarding Deep Sea Tailings. They cannot understand why their Provincial leaders were happy to see tailings being deposited into the ocean. Many just don’t want to see the Chinese anymore. Incidents of stoning of company vehicles have increased. Company officials complained about this to the Police who then brought up the issue with villagers on Monday 1st of August. The village leaders told the police that such incidents are bound to continue as there is widespread resentment of the company. Chinese miner MCC and its partner Highlands Pacific Ltd own the operations of the Ramu Nickel-Cobalt operation. The processing Facilities and the associated Township have been built in the Basamuk Bay area of the Madang Province of Papua New Guinea. It is from here that the materials will be exported and the waste dumped into the ocean. The township area, located south-easterly from the processing plant houses mainly Chinese workers. Waste water from the area is discharged by a pipe into a nearby stream. The stream runs near Mindre Village and was used for washing and drinking. Due to the discharge of sewerage by the Chinese, villagers now have to travel 3 Kilometers to the nearby Yaganon River to wash and fletch drinking water. However, locals claim that the elderly and pregnant mothers still use the polluted stream instead of travelling to Yaganon. The stream used to be fast flowing and contained fish and eels. Today it is slowly dying as the catchment area upstream has been turned into the mine township. Locals claim that the last remaining forest area is about to be cleared signaling the end of an era. While landowners fight what the courts have described as the potentially catastrophic environmental impacts from the dumping of 100 million tons of mine waste into their sea, the Ramu nickel mine is celebrating its efforts in landscaping its Basamuk refinery site. Native and exotic trees and new flower beds are bound to reassure the thousands of people in Madang province who the National Court said face serious harm to their lives in a biodiversity hotspot. As usual, The National newspaper, owned by logging giant Rimbunan Hijau, itself often accused of environmental damage, human rights abuses and illegal activities, is a willing part of the Ramu nickel Public Relations machine. Madang Governor, James Gau, has told the people of the Rai Coast who are contesting the marine waste dumping plans of the the Ramu nickel mine to shut up and return to their villages. Mr Gau cites the often-used but fallacious argument the mine must be allowed to go ahead because the Rai Coast is a ‘least developed area’ and people ‘need services’. The reason the Rai Coast people suffer from poor services is that politician’s in PNG, like Mr Gau, are not doing their jobs and it is not the role of foreign mining companies to provide health and education services. Billions of dollars are stolen every year from the government purse and there is gross mismanagement in the public service and that is the reason public services are so poor. There is NO evidence from other parts of PNG that major new resource projects do anything other than line the pockets of corrupt politicians and bureaucrats who steal the revenues. Mr Gau should realize that the only way local people can improve their standard of living is through local enterprises like fishing and agriculture on which over 80% of the population already rely for their subsistence and cash incomes. It is these enterprises that the environmental destruction from the Ramu nickel mine’s waste dumping will destroy, creating more poverty and hunger for local people. Is he implying that it is safe to dump to¬xic materials into the sea? According to the underwater heritage studies conducted by the United Nations Educational, Scientific and Cultural Organisation in Kiribati (2003-07), humans do not know very much about life in the ocean floors. Dumping waste into the deep sea is bound to have future consequences, which the Scottish Association of Marine Scien¬ces will not know because the scientist¬s will not be alive when disasters occur. The Supreme Court in Papua New Guinea has granted landowners a fresh injunction stopping the Ramu nickel mine from dumping any toxic tailings into the sea. The injunction was granted this morning, after the court heard that the landowners, led by Louis Medaing and Terry Kunning, have filed an appeal against the decision of the National Court allowing the waste dumping, even though, according to the judge, it will likely cause catastrophic environmental damage and is unconstitutional. Lawyers representing the mine owners, Chinese state company MCC and Australian based Highlands Pacific, consented to the new injunction which will ensure no damage to the marine environment until the Supreme court decides on the merits of the landowners appeal. The injunction will again be discussed by the parties when the matter of the appeal goes back to the Supreme Court for a directions hearing on August 19. Landowners in Papua New Guinea have secured another injunction preventing a mine from dumping millions of tonnes of waste into the sea. It was only last week that the landowners, from Madang in the country’s north-east, lost a long-running legal battle to prevent the Ramu nickel mine from dumping tailings into Astrolabe Bay. The National Court rejected their bid for a permanent ban despite finding the dumping was likely to cause serious environmental harm. But the landowners appealed to the Supreme Court and, with the consent of the mine, have secured another temporary injunction. Their lawyer Tiffany Nongorr says the National Court’s ruling was unreasonable. ”Substantial damage is going to occur and that needs to be prevented,” she said. The injunction will stay in place until the matter returns to the Supreme Court later in August. Australian Greens Leader Bob Brown has expressed concern about the Papua New Guinea National Court’s decision not to ban a nickel mine from dumping waste into the sea off Madang on PNG’s north coast. A group of landowners had taken the court action to prevent the Ramu nickel mining dumping up to 5 million tonnes of mine waste a year into the Astrolabe and Basamuk bays off Madang. Senator Brown said that the judge recognised that it is likely the dumping would cause ‘serious environmental harm’ but that it isn’t illegal under domestic laws. “Well, it is in breech of the London Sea Dumping Convention and PNG is a signatory to this treaty, but has not implemented it in domestic law.” Senator Brown said. Senator Brown spoke to landowners in Mandang and flew over the Ramu Nickel site in May. “The Pacific is not an industrial dumping ground – we all share the resources that come from a healthy ocean environment and it’s in Australia’s and all Pacific nations’ interests to ensure mining companies are not dumping tailings” Senator Brown said. In light of the recent decision by Justice Canning to remove the interim injunction placed on the construction of a deep sea tailings placement system for the Ramu mine, there has been a mixture of reactions. Anger and frustration punctuate facebook and other social networking sites. On the other hand over in Waigani, Madam Luo Sho and the Minister of Mining are popping champagne corks if not literally, then metaphorically. Other companies such as ExxonMobil would also be glad that ‘sense’ has prevailed, lest landowners in Hela or other regions get their own ideas about injunctions and court cases. Mining, gas and oil companies are complacent, overly-complacent perhaps, for two reasons. First, the national government is encircled by a network of corrupt elite – personalities in this network chop and change, but their allegiance to money remains. Public funds regularly drift off into the night, assisted by irregular accounting practices that have been tirelessly exposed by the Auditor General. These funds (and we are talking in the billions of Kina) end up being used by this national elite to speculate on property, hotels, casinos, construction companies, etc, i.e. short term industries that will ride the resource boom wave and leave PNG within nothing in 20 years. These dynasties controlling the national government can, therefore, be relied upon to play ball with the mining industry, they have a political and economic interest in it! The second cause of the mining industry’s complacency is the fragmented nature of the poor. They believe that landowner communities are too parochial, isolated and self-interested to unite – indeed can you imagine their fear if landowners from Madang, the Southern Highlands, Bougainville, Porgera, etc, formed a united landowners front, a union of sorts for ensuring all landowners, in all regions of PNG have their interests defended. But such a threat to mining interests seems fictional at present. Thus, mining companies only have to worry about isolated pockets of resistance in Ramu or Porgera etc finding a courageous lawyer or two, who possess the skill and resources to protect the community’s right to live in clean, free environments, undisturbed by the dictates of crude profit oriented industries. In the case of Ramu nickel, this fear was temporarily ended by Justice Canning’s decision. The appeal might succeed, it might not. We know that the national government and the mining companies will use dirty tricks – even hire goons to threaten landowners and their legal representatives. Moreover, they will bring in the high price silks from Australia and throw all the money in the world at them. We know they will also trolley in their own hire-purchase ‘experts’ and if need be legislate away basic constitutional rights. That is why we need a united landowners front, a union, whatever you want to call it – one which can defend all communities regardless of their economic circumstances, education levels, etc. A group that is built on landowner’s solidarity – if brothers and sisters in Madang are being thrown under the carriage of MCC, then action will be taken across all mine communities in PNG in protest. Can you imagine that, MCC receiving phone calls from Exxon, Barrick Gold, Newcrest, because their operations have been shutdown by landowners standing in solidarity with their friends in Madang. At present the mining companies and the national government are united, and they have their own unions (e.g. the Chamber of Mines and Petroleum) – landowners are not. Until they are we can only run isolated campaigns against injustice, when what we need is a united front strong enough to stand up to the bullies, thugs and corrupt cronies who dictate the rhythms of PNG’s development. PNG is made up of a thousand simmering communities, we must turn this into a boiling pot! In a major court room battle that started in September 2010, Madang National Court Judge, David Cannings has handed down a decision allowing Ramu Nickel to dump toxic mine tailings into the sea. On behalf of 1040 plaintiffs, Louis Medaing and 10 others sought to prevent Ramu Nickel from causing public or private nuisance through their deep sea tailings placements (DSTP) system. They also sought to highlight that the Environment Act of the Papua New Guinea and the Constitution will be breached. The judge highlighted that the National Goals and Directive Principles are the core values and proclaimed aims of the people of Papua New Guinea. He said they cannot be ignored. He said, the DSTP has been and will be contrary to National Goal No.4. It amounts to an abuse and depletion of Papua New Guinea’s natural resources and environment – not their conservation – for the collective benefit of the people of Papua New Guinea and for the benefit of the future generations, he said. Further, the judge said, DSTP constitutes an unwise use of our natural resources and environment, particularly in and on the sea bed and in the sea. It amounts to a breach of our duty of trust for future generations for this to happen. It is a course of action that shows deafness to the call of the people through the Directive Principle to conserve and replenish our sacred and scenic marine environment in Astrolabe Bay. The judge also held that the operation of the DSTP will interfere with the people’s use and enjoyment of their customary land including the sea. He also held that there will be likely serious environmental harm to the Astrolabe Bay and the plaintiffs are coastal people who depend on the sea for maintenance of their livelihood and way of life. And yes, the operation of the DSTP is unlawful, unwarranted and unreasonable. However, having said all these it came down to the question of costs and investor confidence. The judge had to rule in favour of the corporate world over the thousands of people whose lives depend on the sea. WHILE the Chinese developers of the multi-million kina Ramu Nickel project were quietly celebrating, locals were not subdued by a National Court that had ruled against them. With yesterday’s National Court ruling by Justice David Cannings giving developer MCC the go ahead to commission and start full operations, the locals are still full of fight. Lead plaintiff Louise Medaing has already instructed their lawyer Tiffany Nonggorr to file an appeal in the Supreme Court against the decision by the National Court regarding the deep sea tailings placement (DSTP) system. Yesterday, the Justice Cannings, in a lengthy ruling dissolved an interim injunction it had granted and also refused the relief sought by the plaintiff to permanently restrain the developers from dumping any mine waste into the sea at Basamuk. MCC had in a statement it released also yesterday afternoon soon after the handing down of the court’s decision stated that “as a result of the decision it could now proceed with the commissioning in order to commence full operation in line with the company’s intention that the project meet best international practice standards in design and operation of its DSTP system”. The statement said while the company was pleased with the outcome, management would be refraining from making further comments on the court’s decision until it has reviewed the whole 65 page judgment with its legal advisers. The Ramu landowners in PNG are shocked by Judge David Canning's decision after acknowledging the risk of irreversible harm to marine resources. They say they are going to appeal against the court decision. This is in the case of the National Court judge rejecting the application for permanent injunction against deep sea waste disposal by the Chinese-owned Ramu Nickel mine, near Madang town. Their lawyer, Tiffany Nonggor spoke Pacific Beat shortly after the decision was handed down today. NONGGOR: Justice Cannings found that the landowners had made out their case, had proved their case for private nuisance and public nuisance, which means that they proved to the court that the environmental consequences of the dumping would be catastrophic, causing irreparable damage to the ecology of the bay, and in the Judge's words seriously harming the lives and future of the plaintiffs and thousands of other coastal people in Madang province. But the judge although he found that they made out their case he said that that doesn't necessarily mean that you should get an injunction. So he looked at factors which determined whether an injunction should be given, and he said that three factors are way in favour of an injunction being given, one that the plaintiffs, the landowners had a genuine interest, two, that they'd actually proven that there was going to be irreparable damage, and three, that it was quite clearly contrary to the national goals and directive principles this dumping. But he said there were three factors weighing against an injunction and one was the delay, that this dumping had been permitted sort of ten years and the mine had been built in reliance on the permits. Secondly he said that the dumping was lawful because they had a permit and thirdly, he said the economic consequences of the injunction, by forcing the mining company to use another method of tailings disposal would cost the company a lot of money and would also cause a great delay in the project, which may affect the economies nationally of PNG and also Madang province. And he also said that the injunction might affect negatively investor confidence. So he said that even though there were three factors both ways, reasons why an injunction should be granted and reasons why an injunction shouldn't be granted, he said it was a borderline case and that it was his decision that an injunction shouldn't be granted because of the cost and the delay. So although finding that the plaintiffs had proved their case, found that he wouldn't however give them the injunction they wanted. He did however make an order that the company and the government have to keep the plaintiffs informed at least every three months for the whole life of the mine as to what's happening with the tailings and the waste and the reports etc., and the monitoring, and he also held that the parties have to bear their own costs. So the reasons he put forward was basically costs to the company and economic consequences for the country. One has to ask well what does that mean economic consequences for the people whose livelihoods and lives are going to be affected on the Madang coast now that it's been proven in court that there will be damage to the people greater than what was predicted by the company. How do you quantify that? TIRIMAN: Tiffany Nonggor and what did he have to say about the scientific evidence he heard on the expected environmental impact of this waste disposal? NONGGOR: He said that the plaintiffs had put together, the landowners had a considerable body of evidence from expert scientists that there would be damage. The fact of the matter is, is that the plaintiffs proved their case on scientific basis with experts that there was going to be considerable environmental consequences, and the judge used the word, catastrophic, that's also going to damage the lives of people. I mean the plaintiffs proved that the damage to the environment is going to be catastrophic, and that was on the scientific evidence. But then the judge had decided he would weight it up against the cost of the company and economic to the country. I guess there's a belief that some people's livelihoods can be sacrificed for the greater good. TIRIMAN: Where does this leave the landowners and what reaction are you seeing from them or you saw from them outside the court? NONGGOR: They're my clients and they're a little bit in shock because the judgement was read out over three hours and for the first two hours it was clear very much that they had succeeded in their claim, and even for like the first two-and-a-half hours it was clear that the landowners had succeeded in their case, that they've actually proved their interest, they proved the scientific case that it was going to be damaged. So they were quite shocked with the outcome that the court is allowing the damage to occur, which is greater than was predicted. I mean the judge actually highlighted that it appears that the director of environment has approved a very risky project to the detriment of these people. But the question is, he said the landowners have delayed bringing it to court, but it's very difficult with regards to landowners knowing the consequences of things and it's not really until mines get built do they realise that something is actually going on. Whereas the planning for these mines etc., goes on years beforehand. What are they going to do? They're considering appealing the part of the judgement that refused the injunction. TIRIMAN: Have you seen any reaction yet from the company or the Papua New Guinea government? NONGGOR: No not yet, we've just got out of court. TIRIMAN: Tiffany Nonggor just like other big mining companies which have projects on the drawing board in PNG that are planning to use deep-sea disposal, I wonder what this decision means for them? NONGGOR: Well the judge did say that one of the major factors in not allowing the injunction was the delay, and he said that had this court application been made earlier the result may very well have been different, because it's only that the company has expended a lot of money and completed the mine and apparently three-billion kina they've spent building the mine. Now if other mining companies have this tailings method of disposal on the drawing board, it points to the fact that look it's likely that this sort of dumping will cause a lot of damage, and if the landowners complain early enough to the courts or complain properly then they can stop it. So this decision would be saying to those mining companies that have tailings dumpings into the sea on the drawing board as part of their mine, that perhaps they shouldn't do that because there's quite clearly valid and successful legal challenges open. Plaintiff landowners from Madang have reacted angrily to a statement by Highlands Pacific’s Managing Director, John Gooding urging them not to appeal yesterday’s court decision. Both men represent a thousand landowners from all over Madang who are concerned about the dumping of million tons mine tailings into Madang’s Basamuk Bay. Highlands Pacific, Managing Director John Gooding released the statement yesterday after the National Court in Madang gave the go ahead for Chinese state-owned company MCC to dump its tailings into the sea. “…it would be extremely disappointing and counterproductive to seek to tie up this project in further legal actions through appeals by the plaintiffs…” said John Gooding. But John Gooding’s appeal has fallen on deaf years with Louis Medaing and Terry Kunning announcing within hours of the decision that they had instructed their lawyer to appeal the decision in the Supreme Court. The Court found that evidence weighed heavily against the defendant, MCC, and that the environmental consequences [of the dumping] may be catastrophic, causing irreparable damage to the ecology of Astrolabe Bay and other coastal waters. But Justice Cannings awarded the decision in favor of the company on grounds that a permanent injunction would harm investor confidence and the economy. A group of landowners in Papua New Guinea say they will appeal against a court’s decision not to ban a nickel mine from dumping waste into the sea. The judge said it is likely the dumping would cause “serious environmental harm” but it isn’t illegal and banning it at this late stage would have an adverse affect on the mine, its workers and investor confidence in PNG. The landowners’ lawyer, Tiffany Nongorr, says her clients will appeal. ”I guess there’s a belief some people’s livelihoods can be sacrificed for the greater good,” she said. An environmental scientist says thousands of marine species in Papua New Guinea could be threatened by the court’s decision. Dr Amanda Reichelt-Brushett, from Australia’s Southern Cross University, is a scientist who gave evidence in the case. She has told Pacific Beat the disposal of tailings from the mine could damage coral reefs and also pollute coastal waters, which people depend on for their food security. “It is a very high-risk operation and unlike on land tailings, where you can have management in place and management reaction to spills and incidents, there is not much that can be done,” she said. Today, the National Court of Madang Province refused a request to permanently stop the operation of the Deep Sea Tailing Placement (DSTP) System of Ramu Nickel Project. Since March 2010, in actions brought by the current Plaintiffs and previously, by another group of Plaintiffs, the Court had effectively prevented the Project from operating its DSTP System by issuing interim injunctions that first stopped construction of the DSTP System and then stopped its operation until the Plaintiffs’ claims could be heard in full. Following the full hearing concluded March 2011, the Court today has dissolved the existing interim injunction and has refused the Plaintiff’s request to grant a permanent injunction. As a result of today’s decision, Ramu NiCo can now proceed with the commissioning in order to commence full operation in line with the company’s intention that the Project meet best international practice standards in design and operation of its DSTP System. While the Company is pleased with the outcome and the finding that DSTP is lawful, Ramu NiCo will not be making further comment on the Court’s decision until it has reviewed the whole 65 page judgement with its legal advisers. Ramu NiCo started the large scale construction in 2008. Up to 31 December 2011, Ramu NiCo has spent US$1.3 billion out of the total development cost of US $ 1.4 billion. The Project is at the end of the construction stage and was scheduled to commence trial operation in late 2010. 1.Delay is not a relevant reason to rule against landowners. They are not causing the environmental and social nuisance. If delay was an issue then why was an injunction allowed. Is the justice system not more responsible for delays? 2.If the spirit of the constitution has been breached then government permits cannot override this. The constitution is supreme. If an economic loss is made by the developper this is a result of the risk they took. Risk is part of business and they should have alternatives to disposal at sea in their business plan. 3.It appears that the government overstepped their authority and breached the constitution. 4.The solution is to mitigate the impact by modifying the waste disposal plan or come up with a new lower impact solution. Cost is a problem for the developper, not for the government, the judge or landowners. Papua New Guinea’s Environment Minister has resolutely endorsed the controversial dumping of toxic mine waste into the sea, but Marine Scientist Gregg Brunskill, whose evidence in the Ramu nickel mine case was yesterday praised by the National Court, says Allan is wrong. 1. Past experience with Deep Sea Tailings Placement have not been successful, with several Indonesian and PNG DSTP operations having pipeline ruptures, planting erosion products into the sea, increasingly turbid water near the pipeline, increased heavy metals in sediments of the continental shelf and slope, unhappy local villages, and impacts on local fishery harvests. 2. Placing deleterious mine and refinery wastes below 100 m water depth in the sea does not diminish the ecological damage to marine biota. It just pushes the damage zone deeper into the continental shelf and slope. 3. The SAMS Report does not indicate DSTP is free of ecological impacts on the sea coast and deeper water. SAMS research on Lihir and Misima DSTP coastal regions show hundred to thousand-fold increases in deleterious metal concentrations in bottom sediment and sediment pore water, and large changes in the abundance and diversity of marine animals that live on the sea floor. There is no longer any mining DSTP happening on Misima Island. The SAMS Report is scathingly critical of previous DSTP studies done by mining consultants. 4. It is extremely unlikely that the PNG government is acting according to SAMS Guidelines, as they don’t have the expertise, experience, or neutral ground to do this. 5. According to mine tailings expert Gavin Mudd, there are viable & safe engineering options for land storage of mine and refinery wastes that would be suitable for the Rai Coast, and this would alienate a small amount of land, compared to the large area of seafloor that would be contaminated by DSTP mine waste disposal. Environment and Conservation Minister Benny Allan has spoken favourably about the disposal of mining tailings onto the ocean floor, reports The National. Allan told the PNG mining and petroleum environment seminar last Tuesday in Port Moresby that this was an alternative to land-based tailings storage. The tailings passed down a deep sea pipeline that discharged well below the maximum depth of the marine mixing zone, generally about 100m deep, the conference was told. “Water below this depth generally remains effectively cut off from the upper waters by the strong temperature and salinity gradients that extend down through the first 100m or so of the water column,” he said. Allan said any discharge below the maximum depth of the mixing zone would generally be trapped there by the layers of water above it. “This method of tailings disposal, referred to as deep sea tailings placement (DSTP) offers an alternative option for mines located in coastal and near-coastal regions,” he said. The Environment and Conservation Department, working with the Minerals Resource Authority, commissioned the Scottish Association of Marine Sciences to conduct comprehensive oceanographic surveys of three DSTP locations in PNG between 2007 and 2009. These studies assessed the environmental risks and impacts that this method of tailings disposal posed. Allan told the seminar that as a result of these studies, the Scottish Association of Marine Sciences had prepared a comprehensive set of environmental guidelines for DSTP in PNG, including the recently completed Ramu NiCo nickel/cobalt mine in Madang. He said in the case of the Ramu NiCo, the DSTP outfall discharged at a depth of 150m in the Basamuk canyon. “From there, the tailings continue to flow down the slope of the canyon to its final resting place at approximately 250m deep in the Vitiaz Basin. “At this depth movement of the tailings into the upper mixed water is considered most unlikely and the tailings will be confined to this area as they slowly decompose over the coming decades,” Allan said. He said the disposal of tailings, on land or sea, presented challenging problems in PNG where characteristically high rainfall and geologically active surface formations posed particularly high risks for land-based tailings storage. “The high toxicity of many tailings materials can potentially last for many years and, thus, any land-based storage facility has to remain secure from flooding, over topping from long periods of continuous high rainfall, and from earthquakes and other plate tectonic movement for this length of time. In a high rainfall and geologically active area these risks are heightened and will require the ongoing monitoring and rigorous management long after the mine has closed and the mining company has gone. The court however declined to grant a permanent injunction. It reasoned that (a) there had been some delay by the plaintiffs in commencing proceedings, (b) Ramu Nico Management (MCC) had been led to believe by the State (Second Defendant) and Dr Wari Iamo (Third Defendant) that it had approval to operate a Deep Sea Tailings Program (DSTP) without the prospect of disruptions (c) the interests of MCC and livelihoods of people who depend on imminent commencement of the mine would be adversely affected (d) all defendants were making genuine efforts to place effective monitoring protocols (e) if any environmental harm of the type described by the plaintiffs should occur they may seek relief in the courts. There was a somber tone in the Court House at Madang and as people emerged after the decision was handed down. A few landowners from the mine site were visibly relieved along with representatives from the developer MCC. The plaintiffs were distraught and made their way out quickly. No one was available for immediate comments and reactions. Parties to the case are plaintiffs from various coastal communities in the Madang Province up against MCC, The State and Dr Wari Iamo (Third Defendant). The plaintiffs have directed their lawyer Tiffany Nonggor (Twivey) to appeal their case at the Supreme Court in Waigani. PAPUA New Guinea’s mining industry breathed a collective sigh of relief yesterday when the country’s National Court lifted an injunction on the completion of the $1.6 billion Ramu Nickel project, says The Australian. The commissioning of the mine, the first to be built and operated by a Chinese company in PNG, had been set back 16 months by injunctions over the potential environmental impact of its disposal of tailings in the ocean. It is now likely to begin producing nickel before the end of the year, building up to full capacity within 18 months. The mine is in mountains south of Madang, from which the nickel is to be piped in a slurry 130km to the coast for partial processing before being shipped to China. When judge David Canning granted interim injunctions to landowners last year to halt the project, the government responded by passing legislation banning such injunctions and demonstrations, or other forms of protests, against resource projects that had been officially approved. The legislation provoked fierce opposition and is still on ice, yet to be ratified. Yesterday, Justice Canning refused the application for a permanent injunction, citing among his reasons the time it took to bring the action (long after the government had approved deep-sea disposal), the consequences for the companies involved, and for investor confidence in PNG as a whole, where resources are the state’s dominant income earner. But he said there was a likelihood that irreversible environmental harm might result from the waste dumping. Other major investors in PNG mining projects have been anxiously watching the case, concerned that they too may find that even after receiving government approvals they may be prevented from operating by legal actions. The major shareholder in Ramu is Chinese state-owned Metallurgical Construction Corporation, with PNG registered Highlands Pacific (which is listed in Australia and PNG) owning 8.56 per cent, potentially rising to 20.55 per cent. Highlands Pacific managing director John Gooding said the delays had probably cost the partners about $100 million, as well as the blows suffered to his company’s share price. But he said yesterday’s outcome had reinforced the position taken by Highlands in the original feasibility study — namely, that deep-sea disposal is viable. “It’s good news,” Mr Gooding said yesterday. “This has been an Olympic battle. Now let’s go on and build it, and contribute for the next 20 to 30 years to the PNG economy and to the stakeholders. The Ramu landowners in PNG are shocked by Judge David Canning’s decision after acknowledging the risk of irreversible harm to marine resources, says ABC Radio. The landowners say they are going to appeal against the court decision. NONGGOR: Justice Cannings found that the landowners had made out their case, had proved their case for private nuisance and public nuisance, which means that they proved to the court that the environmental consequences of the dumping would be catastrophic, causing irreparable damage to the ecology of the bay, and in the Judge’s words seriously harming the lives and future of the plaintiffs and thousands of other coastal people in Madang province. But the judge although he found that they made out their case he said that that doesn’t necessarily mean that you should get an injunction. So he looked at factors which determined whether an injunction should be given, and he said that three factors are way in favour of an injunction being given, one that the plaintiffs, the landowners had a genuine interest, two, that they’d actually proven that there was going to be irreparable damage, and three, that it was quite clearly contrary to the national goals and directive principles this dumping. But he said there were three factors weighing against an injunction and one was the delay, that this dumping had been permitted sort of ten years and the mine had been built in reliance on the permits. Secondly he said that the dumping was lawful because they had a permit and thirdly, he said the economic consequences of the injunction, by forcing the mining company to use another method of tailings disposal would cost the company a lot of money and would also cause a great delay in the project, which may affect the economies nationally of PNG and also Madang province. And he also said that the injunction might affect negatively investor confidence. So he said that even though there were three factors both ways, reasons why an injunction should be granted and reasons why an injunction shouldn’t be granted, he said it was a borderline case and that it was his decision that an injunction shouldn’t be granted because of the cost and the delay. So although finding that the plaintiffs had proved their case, found that he wouldn’t however give them the injunction they wanted. He did however make an order that the company and the government have to keep the plaintiffs informed at least every three months for the whole life of the mine as to what’s happening with the tailings and the waste and the reports etc., and the monitoring, and he also held that the parties have to bear their own costs. So the reasons he put forward was basically costs to the company and economic consequences for the country. One has to ask well what does that mean economic consequences for the people whose livelihoods and lives are going to be affected on the Madang coast now that it’s been proven in court that there will be damage to the people greater than what was predicted by the company. How do you quantify that? NONGGOR: He said that the plaintiffs had put together, the landowners had a considerable body of evidence from expert scientists that there would be damage. The fact of the matter is, is that the plaintiffs proved their case on scientific basis with experts that there was going to be considerable environmental consequences, and the judge used the word, catastrophic, that’s also going to damage the lives of people. I mean the plaintiffs proved that the damage to the environment is going to be catastrophic, and that was on the scientific evidence. But then the judge had decided he would weight it up against the cost of the company and economic to the country. I guess there’s a belief that some people’s livelihoods can be sacrificed for the greater good. NONGGOR: They’re my clients and they’re a little bit in shock because the judgement was read out over three hours and for the first two hours it was clear very much that they had succeeded in their claim, and even for like the first two-and-a-half hours it was clear that the landowners had succeeded in their case, that they’ve actually proved their interest, they proved the scientific case that it was going to be damaged. So they were quite shocked with the outcome that the court is allowing the damage to occur, which is greater than was predicted. I mean the judge actually highlighted that it appears that the director of environment has approved a very risky project to the detriment of these people. But the question is, he said the landowners have delayed bringing it to court, but it’s very difficult with regards to landowners knowing the consequences of things and it’s not really until mines get built do they realise that something is actually going on. Whereas the planning for these mines etc., goes on years beforehand. What are they going to do? They’re considering appealing the part of the judgement that refused the injunction. NONGGOR: No not yet, we’ve just got out of court. NONGGOR: Well the judge did say that one of the major factors in not allowing the injunction was the delay, and he said that had this court application been made earlier the result may very well have been different, because it’s only that the company has expended a lot of money and completed the mine and apparently three-billion kina they’ve spent building the mine. Now if other mining companies have this tailings method of disposal on the drawing board, it points to the fact that look it’s likely that this sort of dumping will cause a lot of damage, and if the landowners complain early enough to the courts or complain properly then they can stop it. So this decision would be saying to those mining companies that have tailings dumpings into the sea on the drawing board as part of their mine, that perhaps they shouldn’t do that because there’s quite clearly valid and successful legal challenges open. Although the National Court in Papua New Guinea has today allowed the Ramu nickel mine to proceed with its plans to dump toxic mine tailings into the sea, the decision could prevent any future mine from using the controversial waste disposal system. This will be unwelcome news from Marengo Mining, which had been hoping to use marine waste dumping, or Deep Sea Tailings Disposal as the industry prefers to call it, for its proposed Yanderra mine just a few kilometers away from the Ramu nickel mine site. The National Court decision delivered by Justice Canning provides a devastating critique of marine waste dumping which it says will cause inevitable environmental harm and constitutes both a public and private nuisance. The court also found that the waste disposal method breaches the National Goals and Directive Principles in PNG’s Constitution and that local landholders have a right to prevent the destruction of their marine environment and its impacts on their subsistance lifestyles. The only thing that saved the marine waste dumping plans of the Ramu mine was the fact the mine has already been constructed, at a claimed cost of $1.3 billion, and the landholders were late in bringing their court challenge. But forewarned is forearmed and landholders in PNG now have a detailed court judgement that provides a legal precedent and a template for future successful court challenges against any mine that proposes to use marine waste dumping or any government decision that tries to authorize such a process. Papua New Guinea's National Court has rejected an application for a permanent halt to the use of deep sea waste disposal by the 1.5 billion dollar Chinese-owned Ramu Nickel mine, near Madang. Dr. Amanda Reichelt-Brushett, from Australia's Southern Cross University, was one of the scientists who gave evidence in the case and whose work Justice Cannings acknowledged in his judgement. Dr Reichelt-Brushett says there is the potential for thousands of marine species, including vital keystone species, to be adversely affected by the mine waste. Speaker: Dr Amanda Reichelt-Brushett, lecturer in the School of Envrionmental Science and Management, at Southern Cross University. REICHELT-BRUSHETT: It's a 2-phased approach. It could be deeper at the disposal site but also there is potential for those tailings to be redistributed up into the higher water column and just small shifts in turbidity will influence coral survival and they are keystone species of coral reefs so we could potentially have impacts on the larger coral reef structure. GARRETT: Madang is a biodiversity hotspot. What will be particularly at risk from this court decision? REICHELT-BRUSHETT: Well the unknowns are really what the risk is and Judge Cannings did state very clearly that there is going to be harm and he acknowledged that there is going to be environmental consequences and damage to the ecology of Astrolabe Bay and other coastal waters so the people in Papua New Guinea depend on those waters for their livelihood and their food security so its not just environment-its peoples' lives that are potentially at risk here. GARRETT: Papua New Guinea's Environment department is being upgraded and it has new guidelines governing deep sea waste disposal. Does the Environment department have enough resources and expertise to monitor what is coming out of Ramu Nickel's waste pipe? REICHELT-BRUSHETT: Well, tailings are an extremely complex mixture and scientists today don't fully understand what happens geochemically under the deep sea and more than 100 metres deep. That is beyond our capacity as scuba divers and also, all the testing that was done in the environmental plan on their own. Now, what the approval of the current government has enabled is that the waste from the actual mine itself, and the mine communities, so all the sewage and so on, which adds an organic load and potentially shift the geochemistry of that environment. So to have that depth of understanding and to understand processes as well as to collect that information at such an extreme depth isn't easy and often those responses have to be quite rapid. I would be thinking that an independent scientific review panel would be a helpful ole that could be used to make those decisions and ensure there is some environmental protection there. GARRETT: If there is a problem, say a major spill of unexpected material going down this pipe, just how easy is it to fix? REICHELT-BRUSHETT: Well, that's the unfortunate thing. It's a very high risk operation and, unlike on-land tailings where you can have management in place and management reaction to spills and incidents, there is not much that can be done. Perhaps you can stop it but if the harm has already been caused and the transport of waste is unlike that perceived, you can't go and collect up the ocean and put it back on land, so it is a case of too late. GARRETT: This is not the only project looking at deep sea waste disposal. The Yandera copper project, which is also quite near Madang, is looking at putting five times as much waste, 25 million tonnes a year, down a pipe into the sea. What impact would you expect that to have? REICHELT-BRUSHETT: Well, I really hope this doesn't set a precedent to enable that to happen. It is a different mine, that means there will be different waste products and different toxicity associated with that waste material and the location, and depth of the location, and where the canyons are placed will all influence it, so a proper environmental study, if that was to be pursued, would be required. I would like to think this court case would have, at least, alerted the mining companies to have a very, very stringent environmental plan in place that will recognise the importance of the environment to the local community. GARRETT: We have seen environmental disasters on land from mining in Papua New Guinea, such as the Ok Tedi mine and its effects on the fly river. What is the potential, with this new push for deep sea disposal, for a similar underwater disaster? REICHELT-BRUSHETT: There is always a risk and because the risk is so high the uncertainty is high and you are taking a gamble, much more than you could if you had a very well-engineered and well-structured, land-based holding capacity. So the potential for environmental damage is extreme because the environment that you are disposing into is unknown. DSTP decision not about justice! What a sad day for Papua New Guinea, July 26, 2011! For instance, the Bouganville mine was forced to stop with a 10-year bloody war that left 16,000 people, many of whom women and children dead. The Ok Tedi mine operates out of one of Papua New Guinea’s poorest provinces and has not managed to place it in the top list of economically prosperous province. The Porgera mine is marked with endless struggles with landowners and Tolukuma continuously denies environmental impacts in the area. The judge in making the decision held that the this DSTP case in Madang was a borderline case. He said the plaintiffs have marshalled a compelling body of scientific evidence that the Director of Environment has approved operation of a very risky activity that could have catastrophic consequences for the plaintiffs and the coastal people of Madang Province. The Ramu nickel-cobalt project in Papua New Guinea received a court clearance Tuesday that is expected to put the delayed, but fully constructed, project back on the commissioning track, with production targeted to start in the final quarter of this year, Australia-listed Highlands Pacific said in a statement. The National Court of Madang province has refused to grant a permanent injunction and removed the existing injunction that had been placed on the project relating to the potential environmental impact of a purpose built deep-sea tailings placement system, said Highlands Pacific, which holds 8.56% in the $1.5 billion Ramu project. However, “given the judgement is in this National Court, there is potential for the decision to be appealed to the High Court of PNG,” Highlands Pacific said in its statement. Notwithstanding, “Highlands is confident that production will commence in the 2011 September quarter with a staged ramp up through the year,” the company added. The Tuesday court judgement dates back to an application over a year ago, with a final substantive hearing held in March 2011 on the efficacy of deep-sea tailings placement system. The legal action centered on an indigenous land claim in the waters of Basamuk Bay and prevented work only on the placement of the tailings plant’s displacement systems into that undersea area. Progressive commissioning of the Ramu project started in late 2009 and has continued through 2010 and 2011. The Ramu project is expected to produce 31,150 mt/year of nickel and 3,300 mt/year of cobalt contained in high grade concentrate over a 20-year mine life, with the potential to extend by another 15-20 years. Papua New Guinea’s Mining Minister, John Pundari, has taken out full page newspaper advertisements welcoming the decision of the National Court that the Ramu nickel mine can proceed with plans to dump millions of tons of toxic tailings into the sea. But the Minister has studiously avoided mentioning the court findings that the government, in allowing the waste dumping, has breached its duty of trust and the Constitution or that dumping will cause environmental harm and there is a real danger of an environmental catastrophe that could threaten the lives of thousands of people. I now live in Botswana. It is the great mainstream counter-example to the argument that mining is inherently destructive. Botswana exports one third of the world’s diamonds. It is hardly what I would call a great example of good government despite what the World Bank says, but it is a good deal better (or at least was in the first 30 years of mining) than what I have seen in PNG or other resource rich countries in the islands region. The reason is political- the elite here has reinvested the massive diamond reserves in the infrastructure and education of the country. You can see the diamonds in the roads, the schools, the dams, and the hospitals. In defense of PNG, it does not nor never had anything like the huge Jwaneng diamond mine here in Botswana. To dig out one dollar of diamonds costs roughly 10 cents. It is the richest piece real estate on earth. The government cut an OK deal with De Beers and makes billions every year. The elite in the mineral rich Pacific countries may have had many friends to spend and abuse the mineral and forestry resources on but they had a choice to use those resources with some wisdom or to squander them. They chose the latter and in Botswana, while they were very imperfect and made many mistakes but they did not steal, misappropriate, mismanage the mineral wealth on a massive scale. In the end of course it will make little difference because once the diamonds are gone the wealth that was generated will not likely be sustainable and now there is evidence that the new generation of the Botswana elite is not behaving like the older generation. Corruption is growing and becoming more prevalent. The difference between countries that have succeeded and failed ultimately rests with the quality of their ruling elite and the decisions they make. Generally speaking mining has had an awful track record in the developing world because governments have abused this wealth. Those countries with a genuinely developmental elite have prospered (eg Malaysia) and those with a parasitic elite (eg Philippines) that does not do anything but steal from its people see the non-renewable wealth of the nation in the bank accounts of the rulers. This cannot be blamed on mining or logging per se but the decisions of those who rule. An application for an injunction to stop mining waste disposal in PNG was refused last week, leaving questions about the stewardship of natural resources unanswered, reports New Matilda. Last week in Madang, Papua New Guinea, an important judgement was delivered in the National Court regarding the controversial Ramu Nickel Mine. The case featured 1040 plaintiffs and related to the deep-sea tailings placement (DSTP) — a contentious mine waste disposal method that threatens both the local environment and the health of the population. The Ramu Nickel Project is a large-scale project that comprises a composite mineral resource initiative with four components: a mine, a pipeline, a refinery and wharf — and DSTP. The mine at Kurumbukari is in the high country and involves a series of open-cut pits and plant that produces ore slurry. The pipeline transfers the ore slurry 135km from Kurumbukari to a refinery at Basamuk, on the Rai Coast of Madang Province. The refinery at Basamuk processes the slurry and the refined nickel and cobalt is exported from the wharf. The DTSP system is the controversial tailings disposal process that transports the refinery waste through a sloping 400-metre pipeline offshore to a depth of 150 metres where the tailings are dumped into the sea in Basamuk Bay. The amount of waste is staggering: 50 million tons each year for the 20 year life of the project. The plaintiffs were seeking a permanent injunction by attempting to assert their property rights on customary lands, including seawaters affected by the Ramu Nickel Project. They were not successful in this action. Their efforts to stop the DSTP were split into three parts. Firstly, they made a claim that the DTSP would create a “common law nuisance” on the grounds that it would interfere with the population’s enjoyment of the land and sea. Secondly, they argued that environmental harm that would result from the 1 billion tons of waste over the 20-year life of the mine would breach the PNG Environment Act (2000). “We declare our fourth goal to be for Papua New Guinea’s natural resources and environment to be conserved and used for the collective benefit of us all, and be replenished for the benefit of future generations. The defendants, who included the the Chinese-owned mining company Ramu Nico Management (MCC), the state of PNG, and the country’s Director of Environment, mounted a number of counter-arguments. To begin with, they argued that nuisance could not be proven. Contamination would only be evident after the event. Herein lies a big problem with the PNG Environment Act: it has provisions for prosecution when nuisance or damage is proven, rather than for sensible stewardship that would avoid contamination in the first place. The defendants also argued that they could not be held to account for National Goals as they are non-justiciable. That is, the National Goals fall outside the jurisdiction of the Court. Finally, the defendants questioned whether some of plaintiffs were genuine landowners. The defendants highlighted that those whose livelihoods had already been affected by the delay in mine production would be further prejudiced if the project was further delayed. “Of the seven factors identified, three (standing, likelihood and extent of environmental harm, National Goal No 4) favour a permanent injunction. Three do not (delay by plaintiffs, lawfulness of DSTP, economic consequences). One (good faith of parties) is equally balanced. This was a win for the defendants, and in the view of the judge, also an economic win for the people of the province. But what is the real cost of this economic win for the 370,000 people of Madang Province? The province covers an area of 29,000 square kilometres, most of which is remote and undeveloped, although the province is an important producer of cocoa, copra, cattle, sugar, palm oil and woodchip. There will be some unspecialised jobs in the mining sector for locals and some service sector benefits — but there’s a real risk of catastrophe to the coastal people of Madang if contamination of fish stock occurs when 1 billion tons of contaminated mining waste is dumped into their ocean. Most disturbing is that the real property rights of the custom landowners and stewards of the subsistence fishing grounds have been overlooked, despite the compelling body of scientific evidence provided by the plaintiffs. With significant mineral exploration underway elsewhere in Melanesia, as here in Australia, the court’s prioritisation of politics before people, economy before environment, cash before custom reflects very badly on the values of contemporary society and is very much at odds with the notion of sound stewardship of natural resources. In response, some of the plaintiffs have already moved to lodge an appeal to the Supreme Court. Their position is quite easy to understand: after 20 years the mining company will have made its profit, the PNG Government will have perhaps seen a very small increase in GDP — and Astrolabe Bay, the source of subsistence seafood for the local community, will have been contaminated by 1 billion tons of mining waste. A small custom led tail lights are not only cost-effective and efficient use of energy, but also directly contribute to the cleanliness and health of our planet. This is the most attracting feature and requires the user.